The story of double-deck operations at Central SMT is a particularly interesting one. For many years, the fleet was well and truly dominated by the various versions of the Leyland Titan. A challenger appeared on the scene in 1955 in the shape of the first Bristol Lodekka. It may have seemed like a weak challenger, being only the second Bristol ever to operate for Central, but in fact the type went on to overthrow the Titan and become, for many, the definitive Central SMT bus. 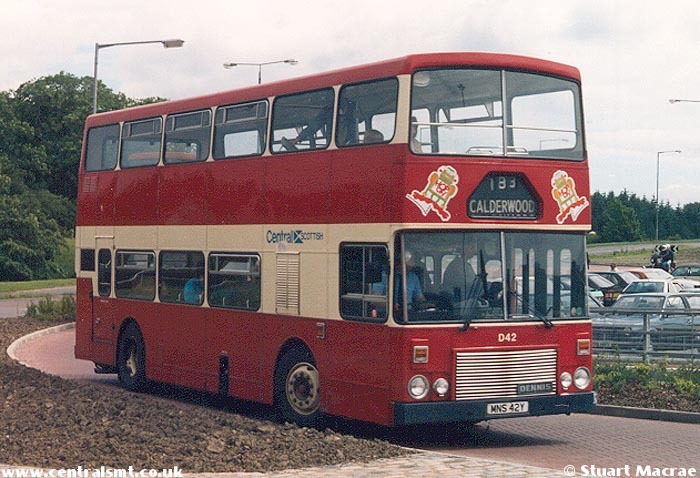 During the glorious Lodekka era, a succession of other double-deck types were tried and rejected. Strong names like the Leyland Atlantean, Bristol VR and Daimler Fleetline - each of them the mainstay of many a well-respected fleet - were dumped by Central after relatively short lives. The Albion Lowlander received the same treatment. In its attitude to double-deck buses, Central SMT displayed a fussiness that would be matched only by London Transport. Perhaps it had simply reached the conclusion that, as far as the Lodekka was concerned, nothing else came close. 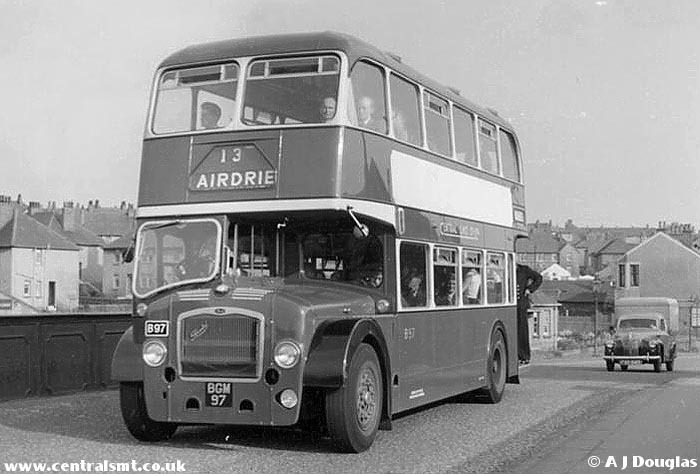 Explore the various double-deck types in detail using the panel on the right.